Halkyardia minima, from Cardiff University. 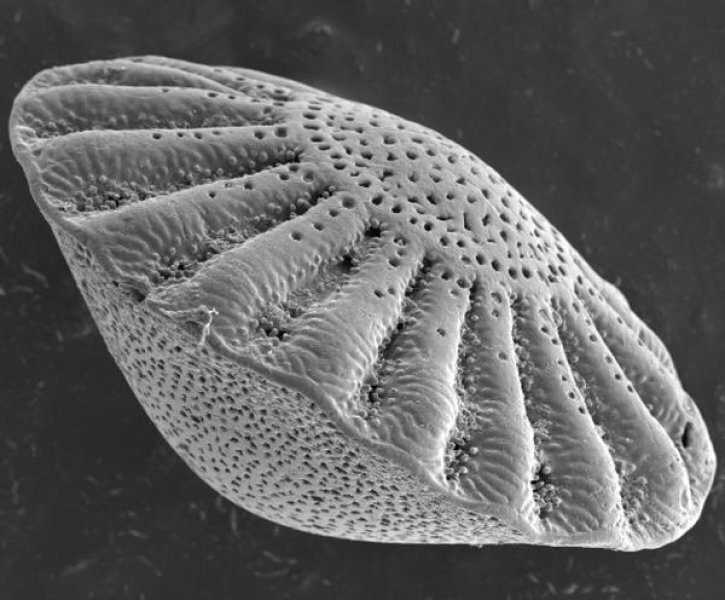 The Cymbaloporidae are a group of trochospiral Foraminifera known from the Upper Cretaceous to the present day (Loeblich & Tappan 1964b). Characters (from Loeblich & Tappan 1964b): Test trochospiral, later chambers in annular series in single flat or conical layer; apertures numerous, variously arranged circular pores.